I know it’s been a while, but I swear it’s justified. The last couple of months have been hell. 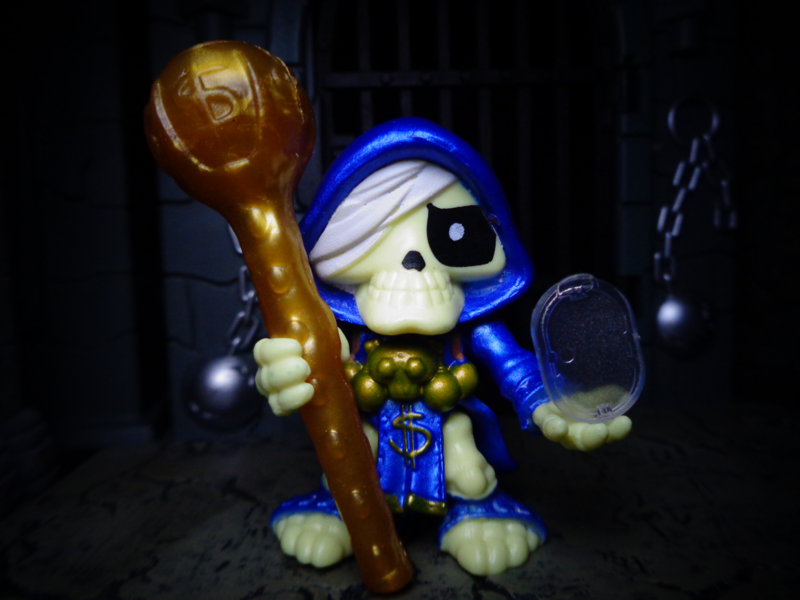 But hey, I’ll bring you a special treat – EVERY AVAILABLE FIGURE IN TREASURE X SERIES 2! AVAILABLE – Moose has once again done the “Wave 1” thing, so it’s not the entire line. 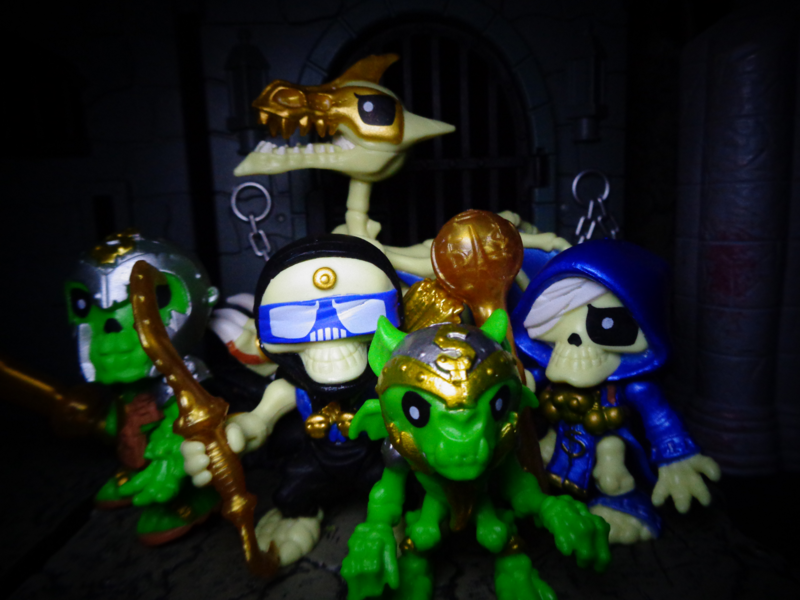 Treasure X Series 2 is a gigantic expansion from the first – now you have regular skeletons ($10), you have mini-beasts ($5), and you have dragons ($15)! This is AWESOME. 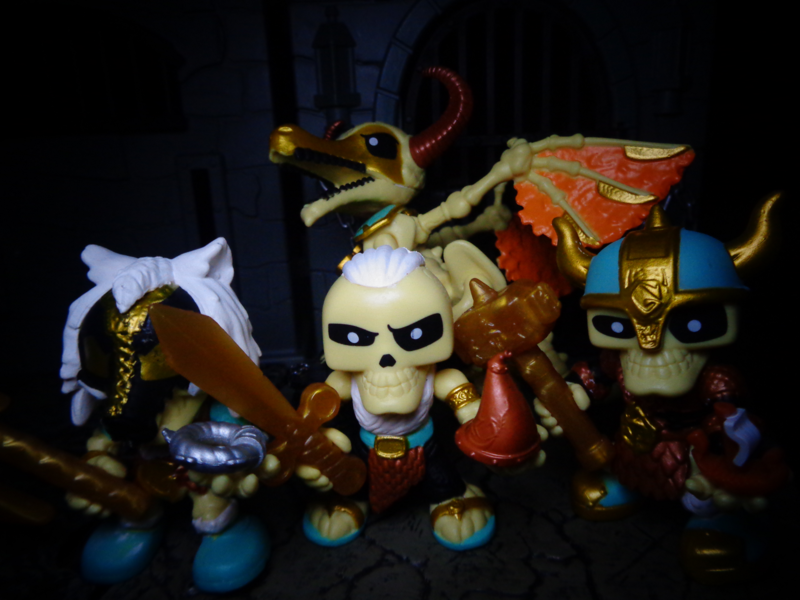 Wave 1 of Series 2 consists of two thirds of the skeletons (plus three), all of the dragons, and only three of the Mini-Beasts. 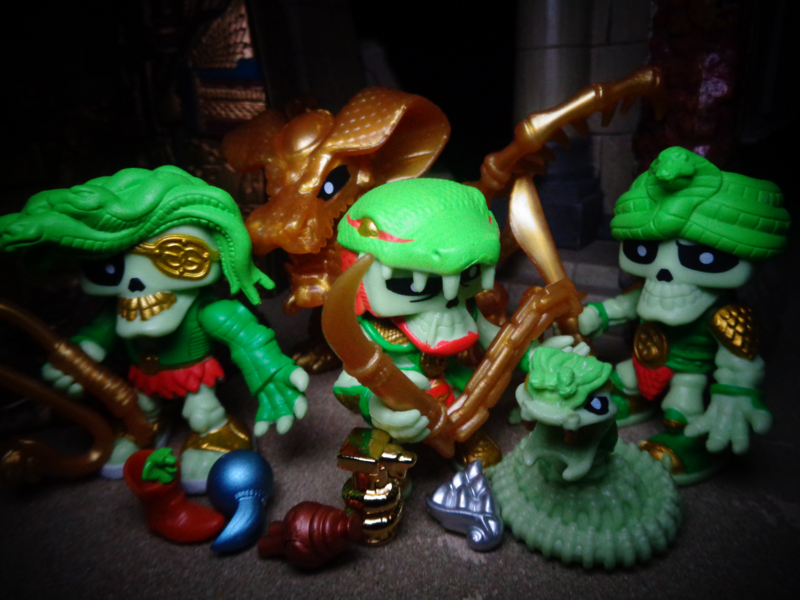 The three Mini-Beasts and three “missing” Wave 1 skeletons are in the 3-packs, in case you’re curious. Got that? Good. Now it’s time to show off… the toys. The map decoder is a “Dragon’s Eye” – although you can decode the map without using it, rofl. The 3-packs have slightly different dragon eyes. 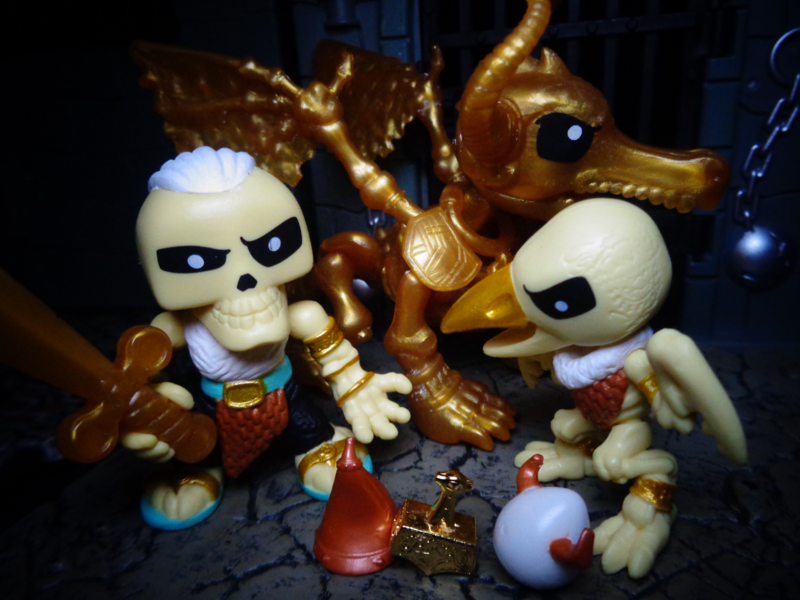 These are the contents of the Bling Vikings 3-pack, as you saw in the video. 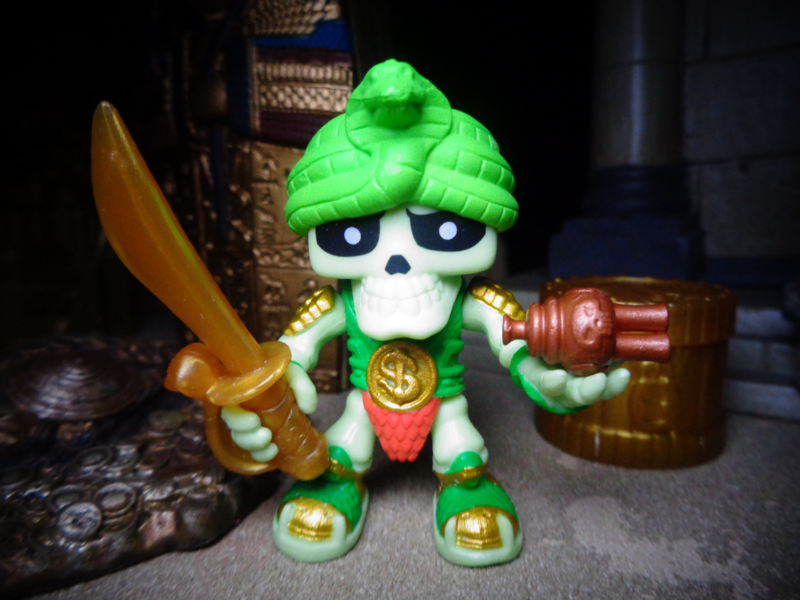 Erik Blingblade is a figure that you won’t see in the normal single-packs, at least not until Wave 2. Therefore, you can fill out the entire faction minus two mini-beasts! 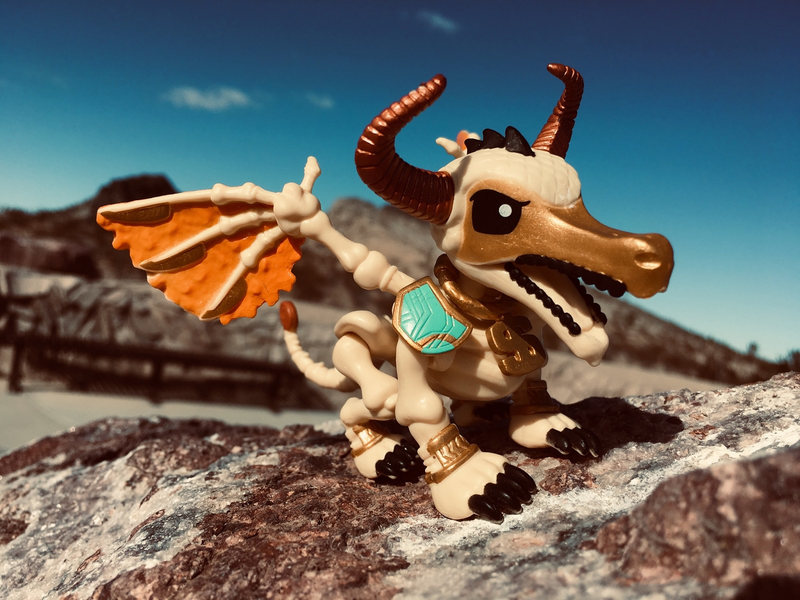 The Asgardian Dragon is one of the most “normal” dragons in the set. Those horns are certainly imposing! Really, the Asgardian Dragon is a pretty good starter dragon, and you’ll get to see how wild some of these guys get! 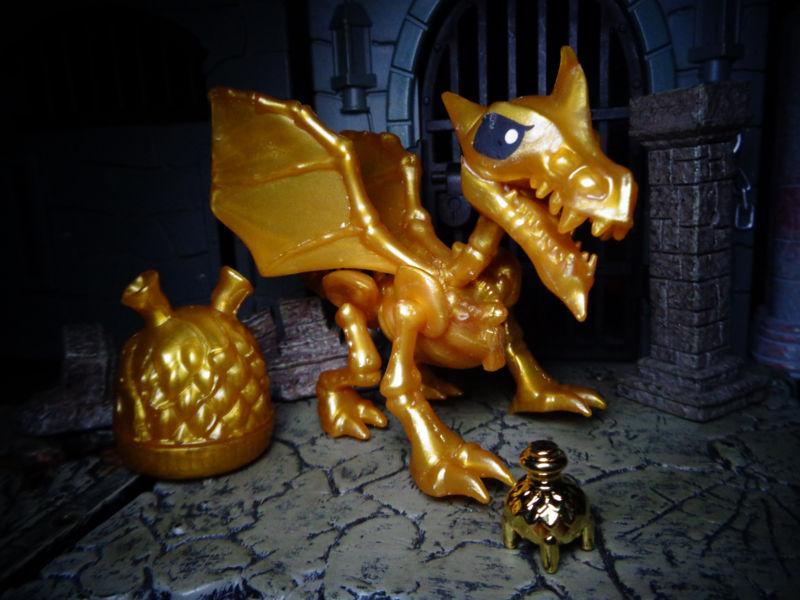 Here he is in gold. 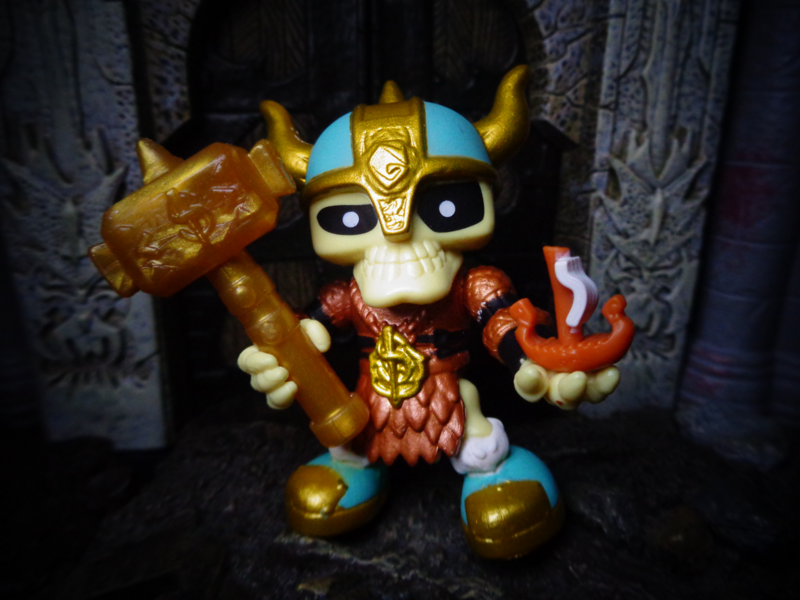 Erik Blingblade is the most “normal” of the Bling Vikings, wielding a sword and his magical Hero’s Horn! 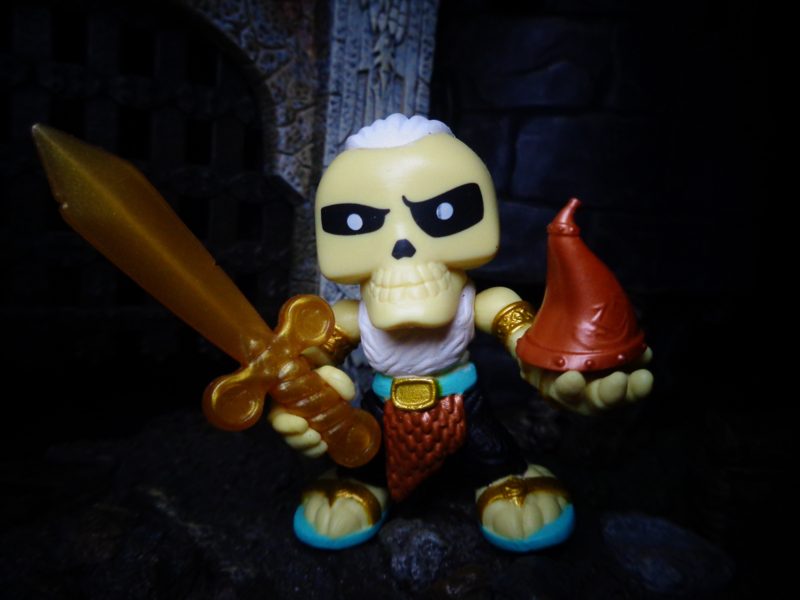 He’s also the “Wave 2” figure, but is available in the 3-pack. 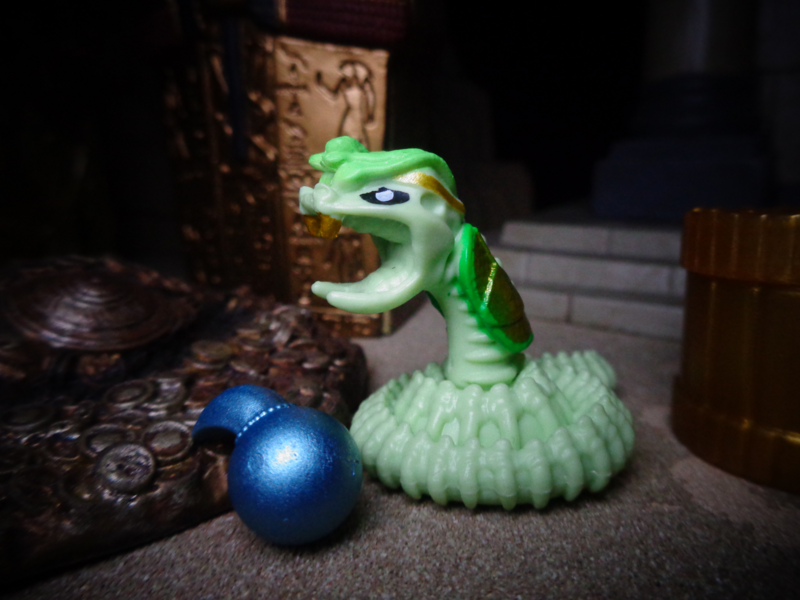 Gold Thunder, our sole horned Viking, has with himself the Viking Ship as a treasure! Did you know that Vikings never wore horned helmets? it was just a weird artistic thing. 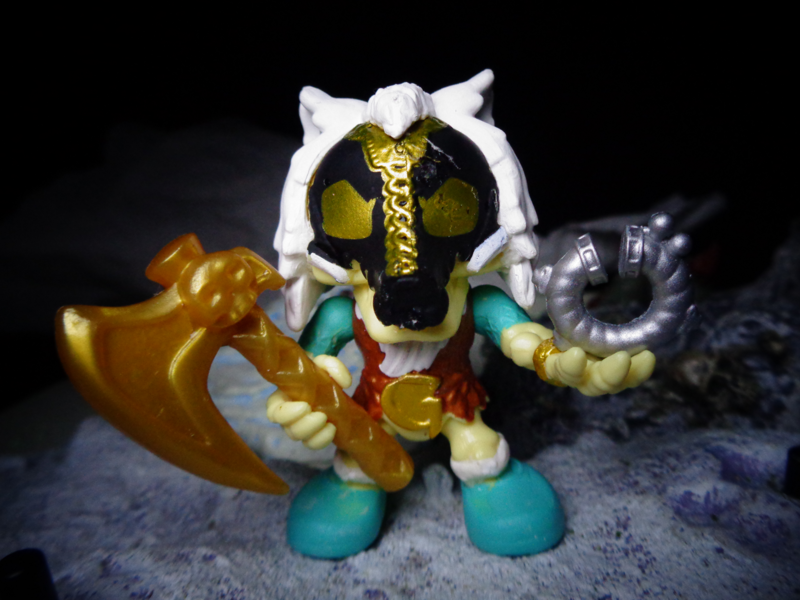 Goldenwolf wears a leather wolf mask, and has the Bracelet of Strength as his treasure! So, is Crow Bar supposed to be Hugin or Munin? The other beasts aren’t birds, per se. But hey, there you go. 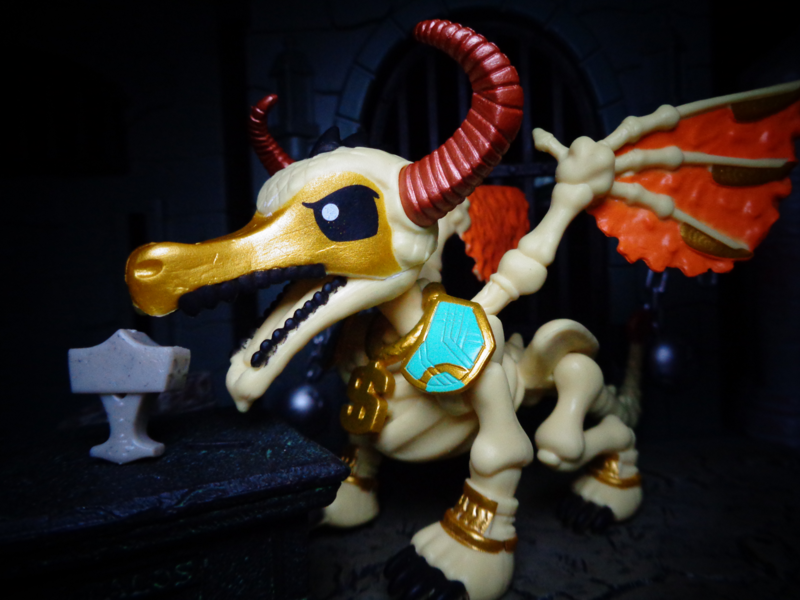 He’s a great little boney bird. 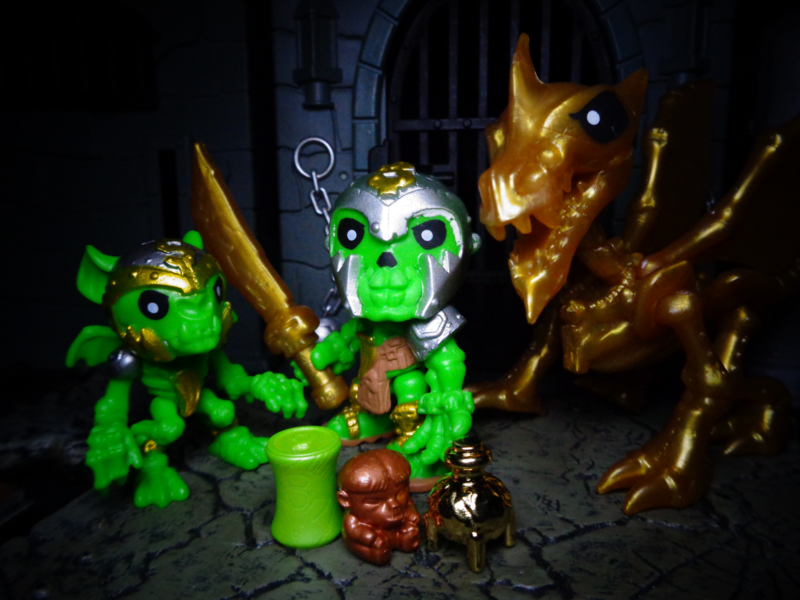 The Mythic Marauders 3-pack has a lot of green, eh? The Mythic Mauler Dragon is the most “ordinary” of the dragons, which honestly makes it a little bland. It does look nice in gold, though. 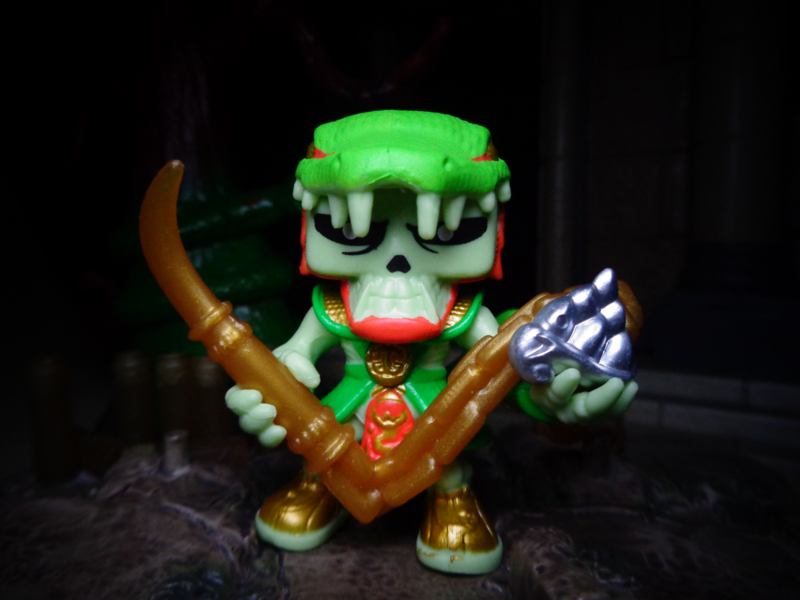 Treasure Orc is GREEN! 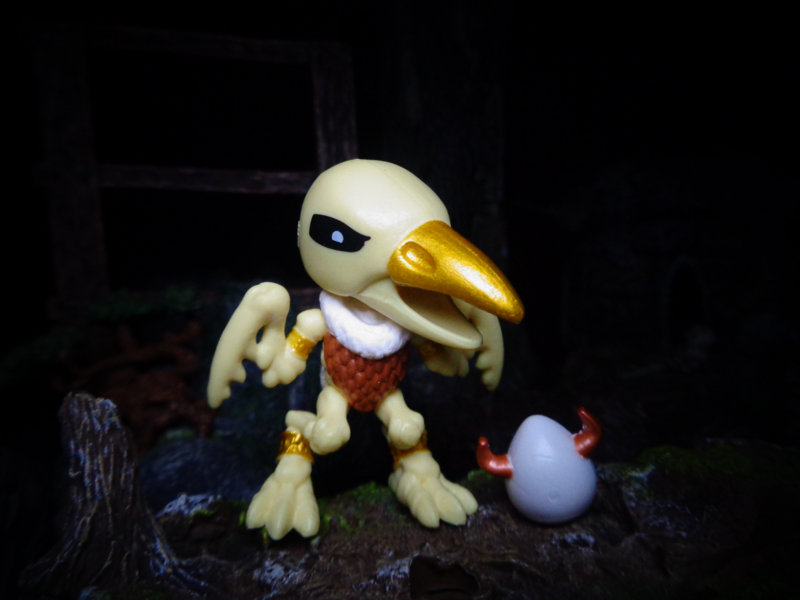 Not all the Mythic figures are like that, so he is unique. 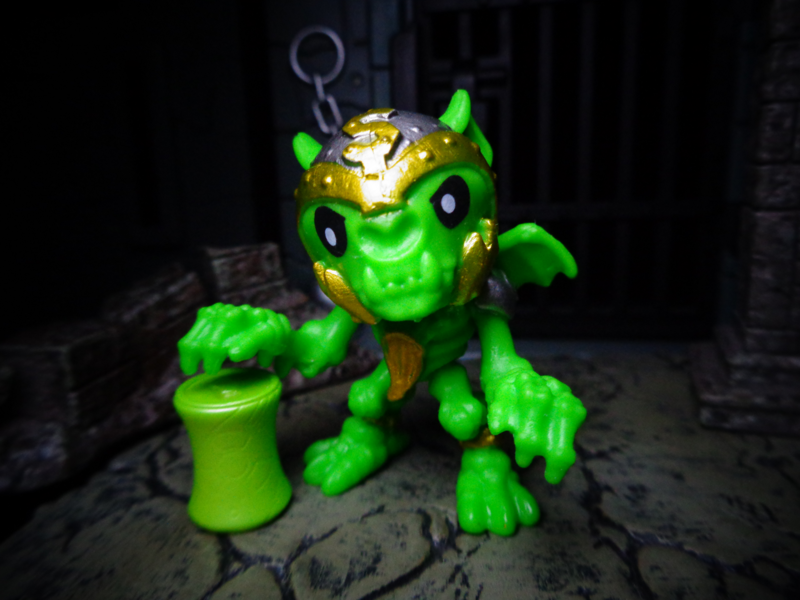 His Mini-Goblin treasure is a cool little statue, too. 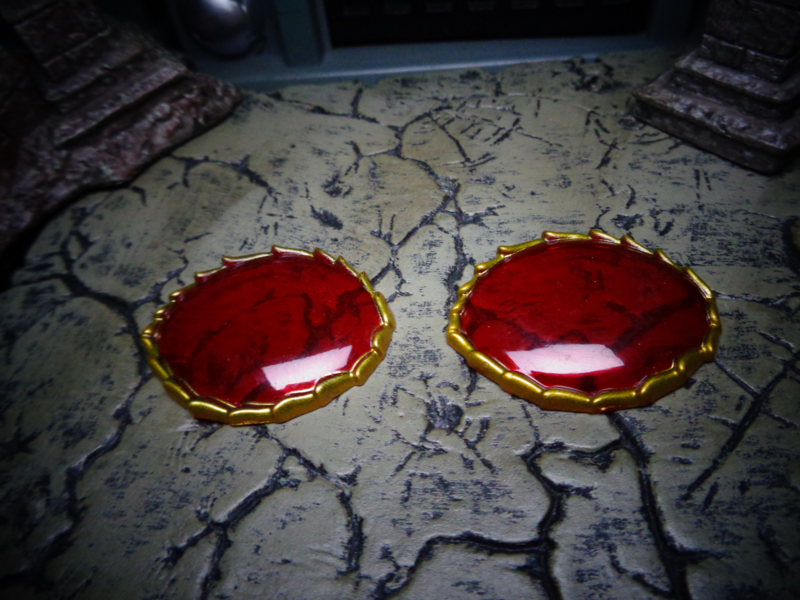 Gold Spell the Sorcerer comes with a magic mirror! 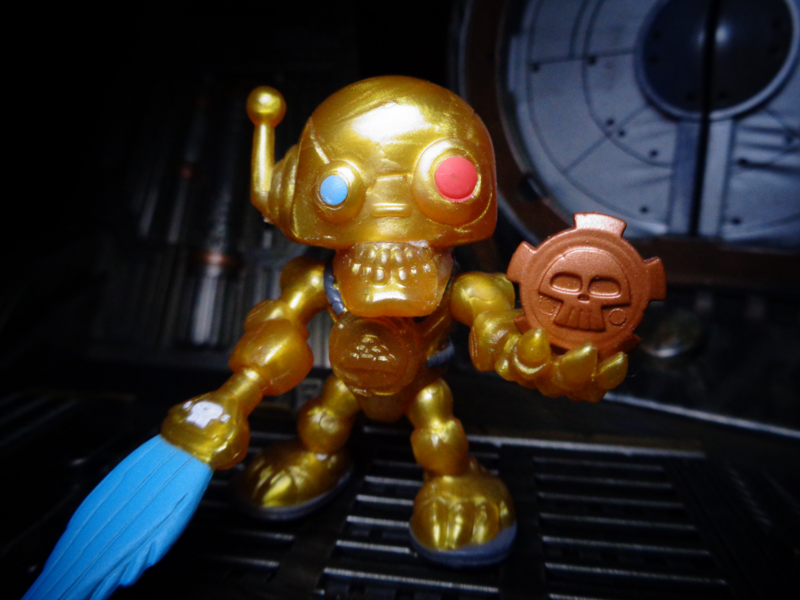 Goldshot has an actual bow as a weapon – there’s plenty of creativity in Series 2! 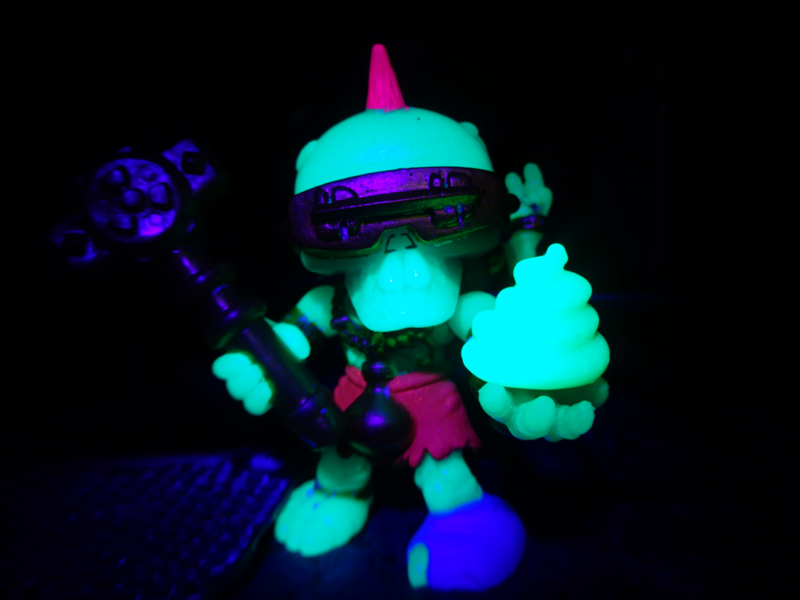 And yes, his treasure glows. Bling Bat is easily one of my favorite figures. He’s such an awesome little Castlevania gremlin. 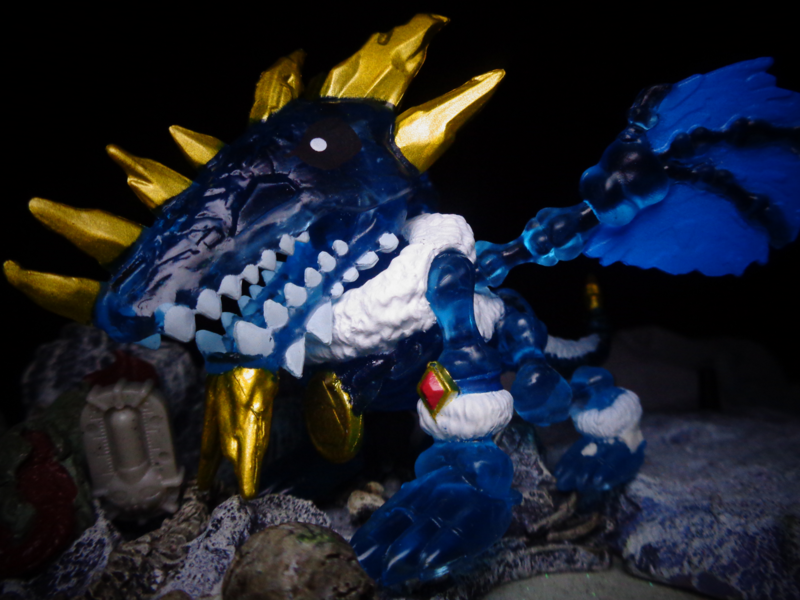 Serpent Strike Dragon is AWESOME. Seriously, what else is there to say about it? I’m loving the designs in this line. 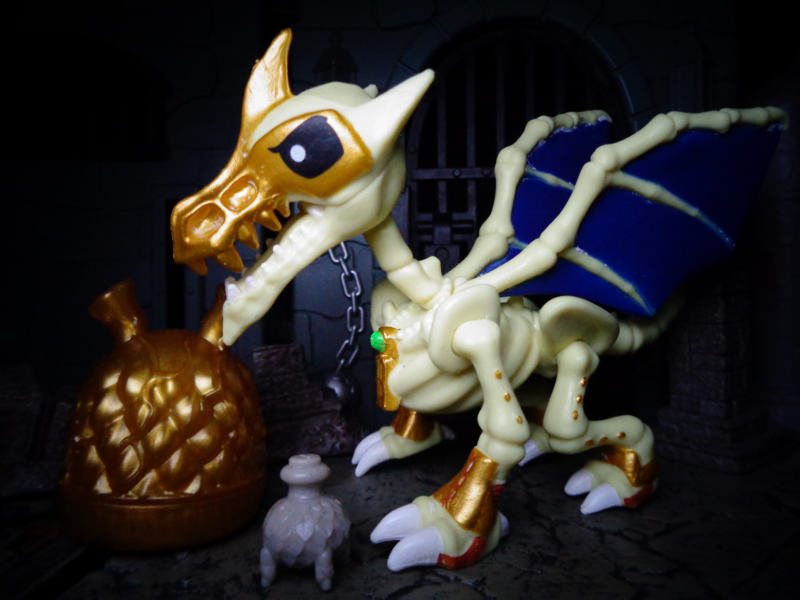 He looks good in gold, too! 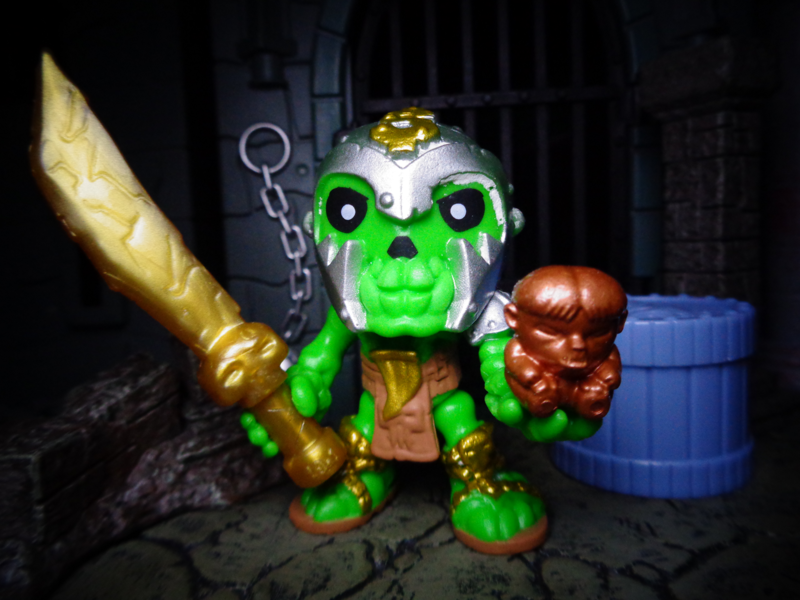 Goldstrike is the 3-pack figure from the Serpent Raiders. And he’s got a snake turban! Slitherbling is the one with an actual tail. he’s also got a really cool chain weapon! 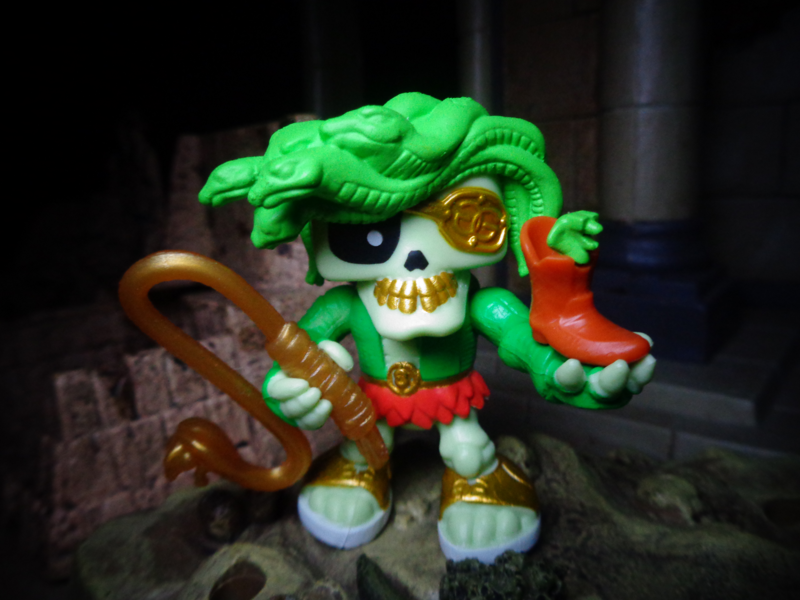 Gold Venom comes with a snakeskin cowboy boot. And the snake in the boot has sunglasses. 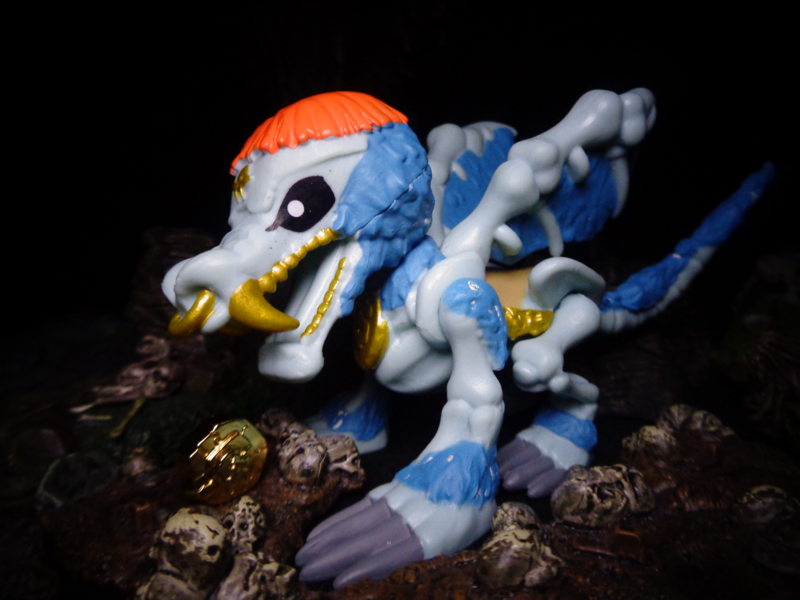 Rich Fang is a great example of a non-humanoid Mini Beast! 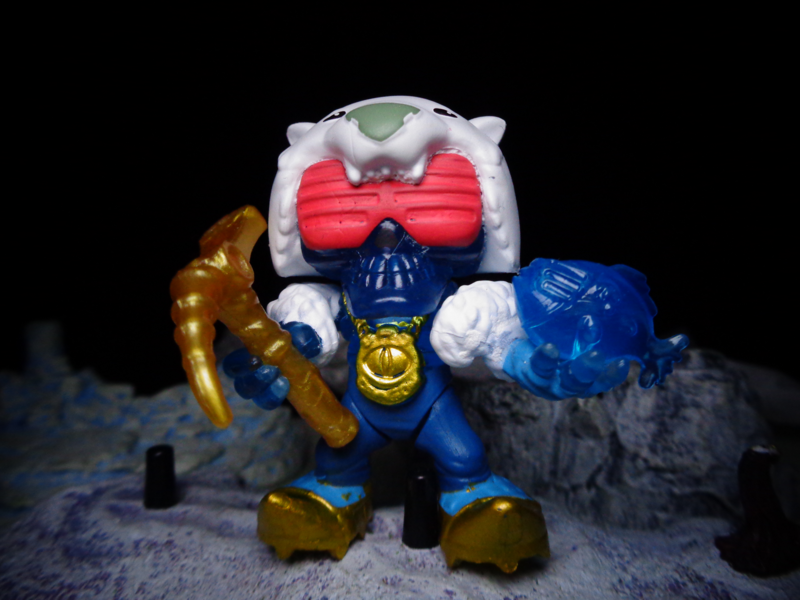 Weirdly, he does not swivel where you think there would be swivel joints. Odd, that. 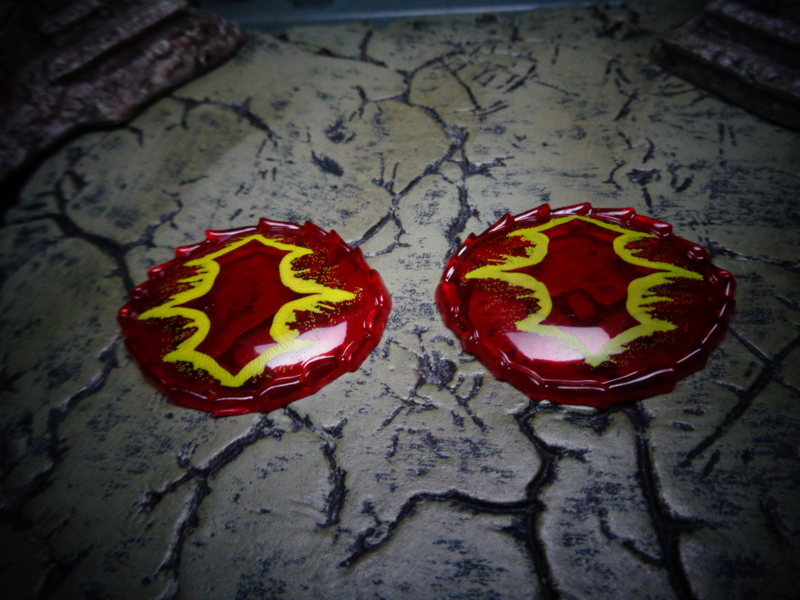 Okay, I have to show off the mutants next. These guys are AWESOME. 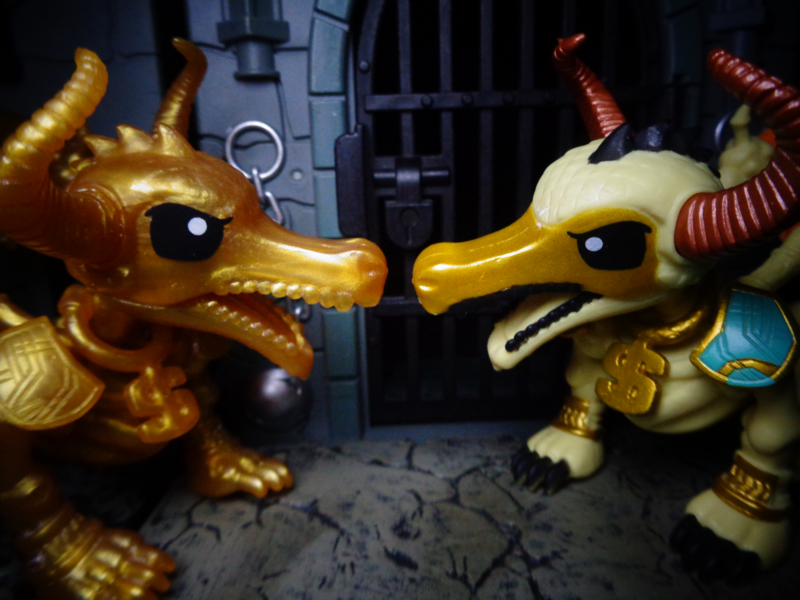 The Toxic Twins dragon(s?) is(are) just plain awesome! 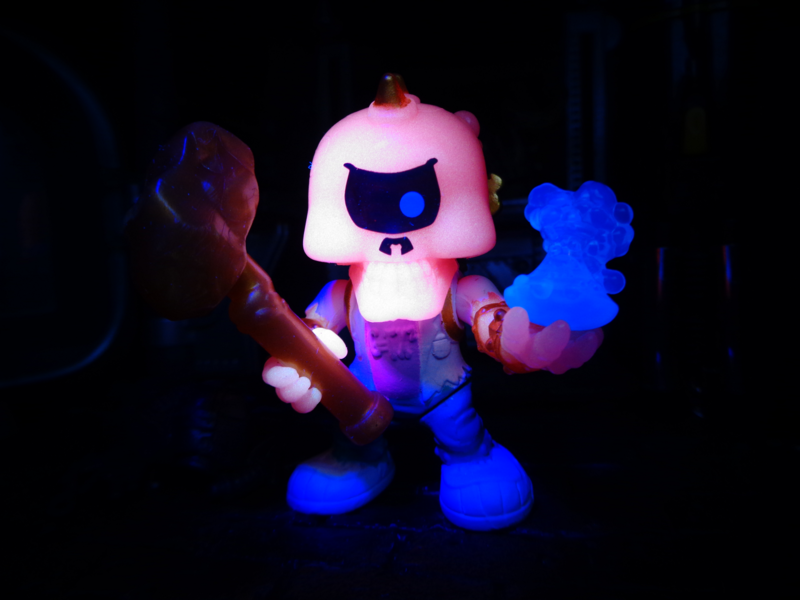 And he glows! 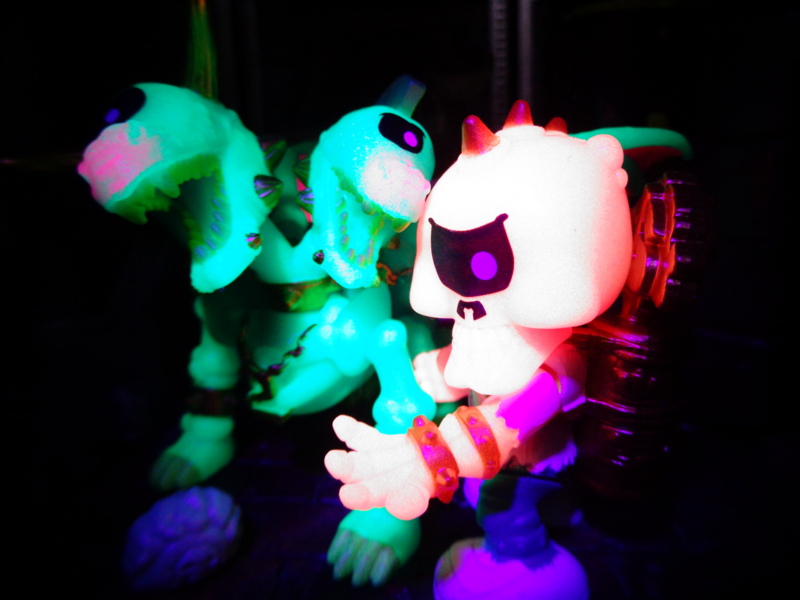 All the mutants glow. 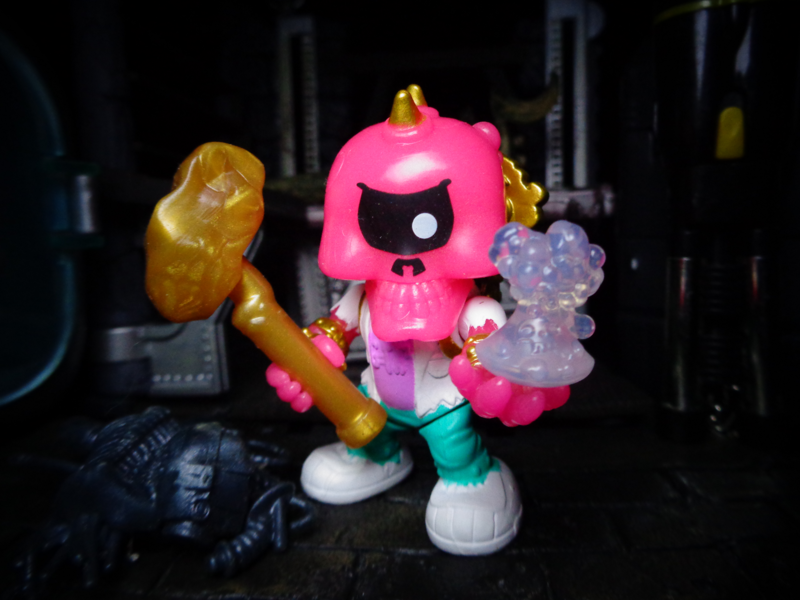 Goldclops is a whacked-out mad scientist (does G=tx2 mean anything? 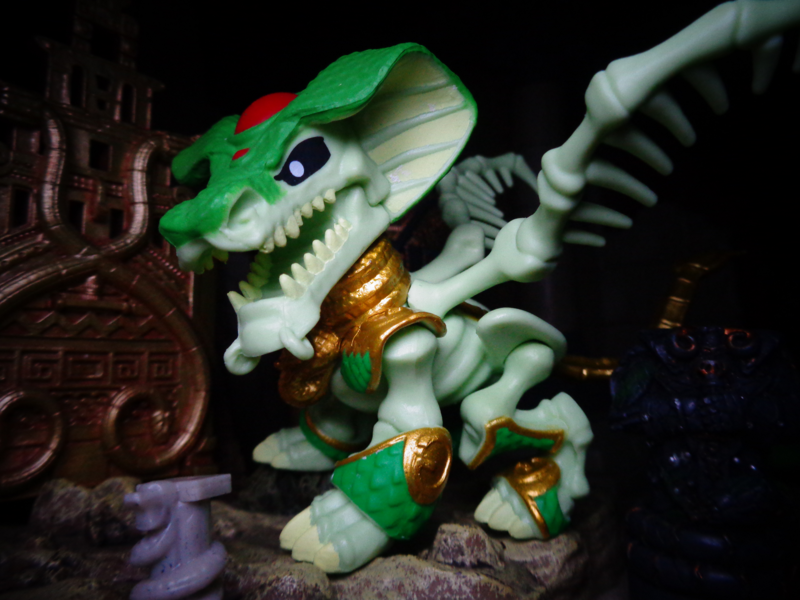 ), with surprisingly cool sculpt? 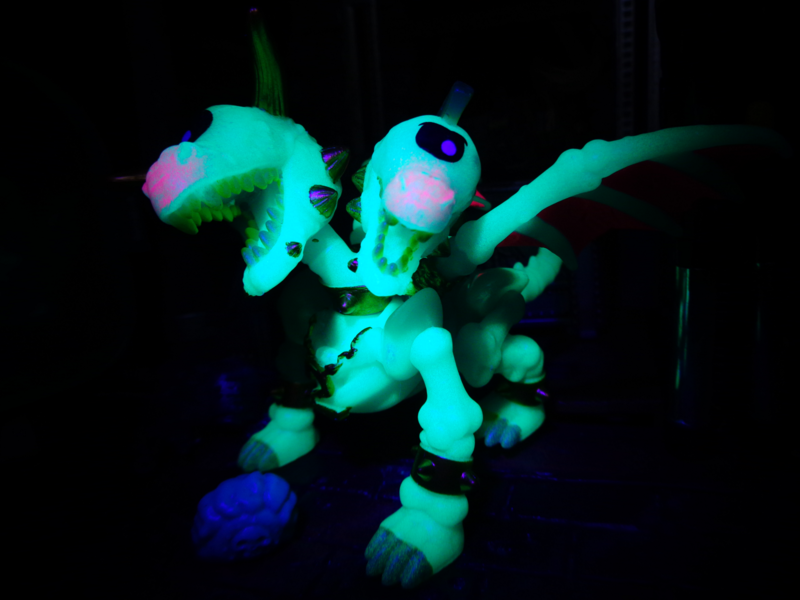 And yes, he glows pink! 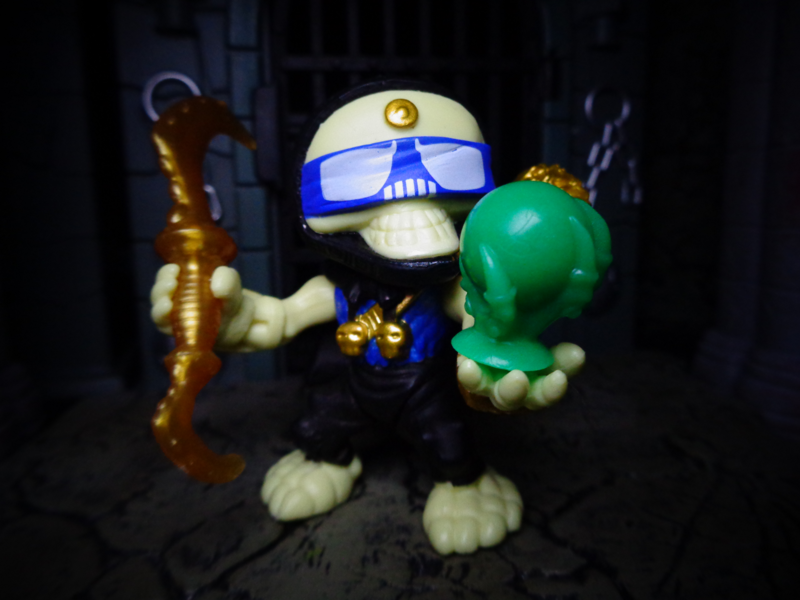 Fortune Freak has three arms, a lot of jewelry, and glow-in-the-dark poop for treasure. Wow! I love the glow effect. 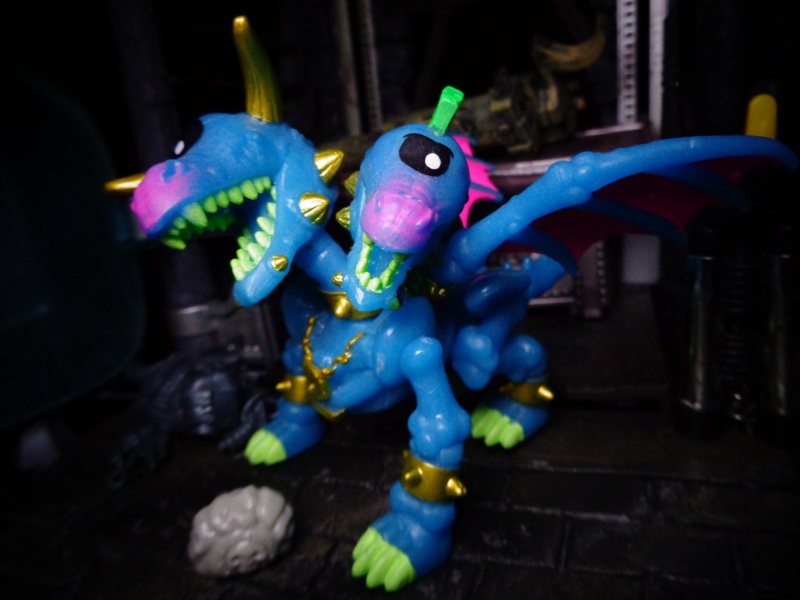 The Ice Fire Dragon has a gigantic head – and some cool blue plastic! 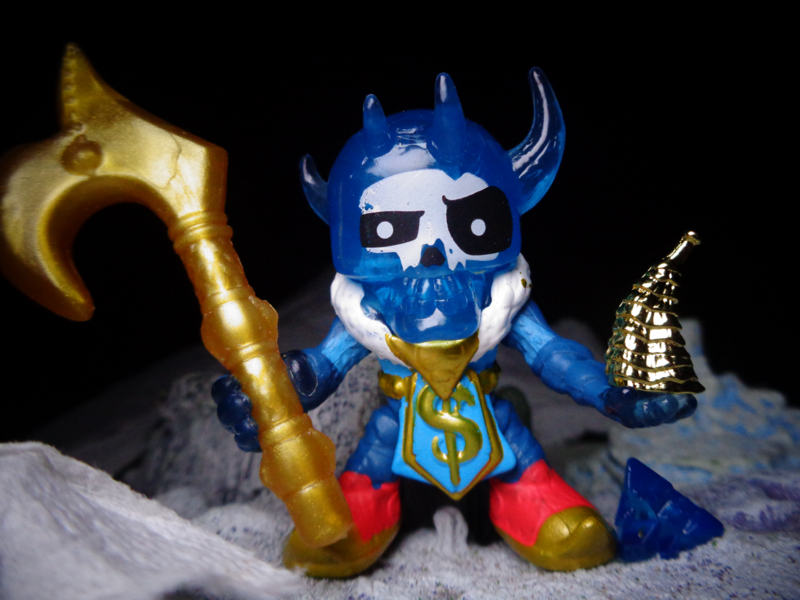 Here is Sliceberg with both his regular treasure (the blue ice spike) and the gold treasure for his faction (the gold horn)! Also, I’m pretty sure Sliceberg is a White Walker. He reminds me a little of the Night’s King. Gold Shiver comes with a frozen fish, which is quite hilarious! The Bone Breka (break?) 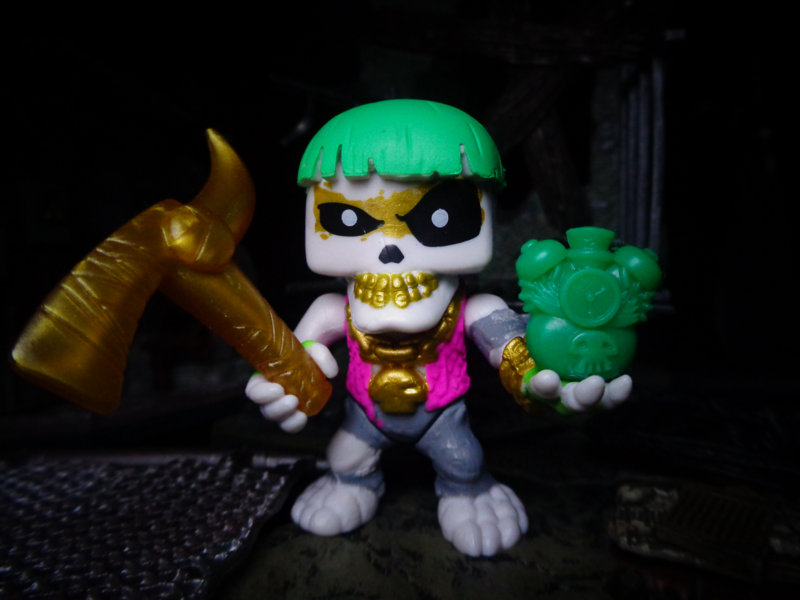 Dragon is part o the Bling Barbarians, and I kinda find his haircut hilarious! Note the blue tint that barbarian dragons have. 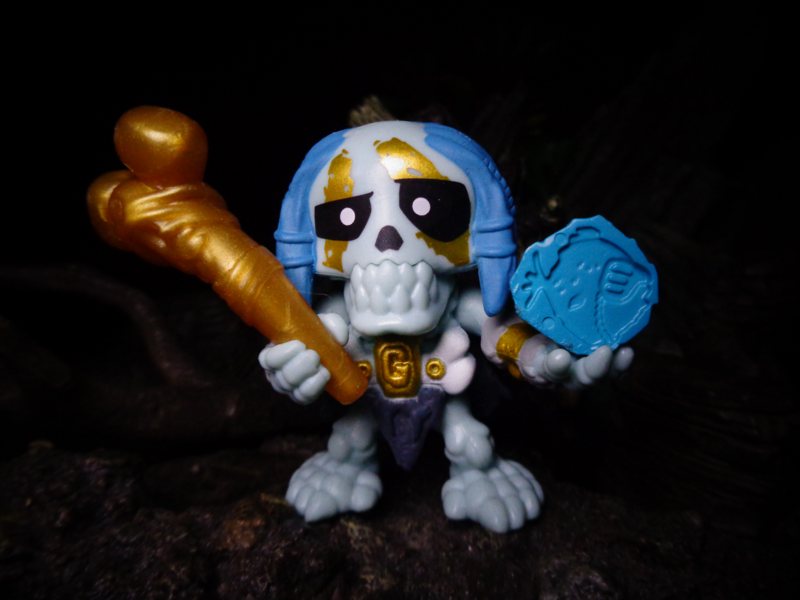 Gold Ugg is a barbarian king! 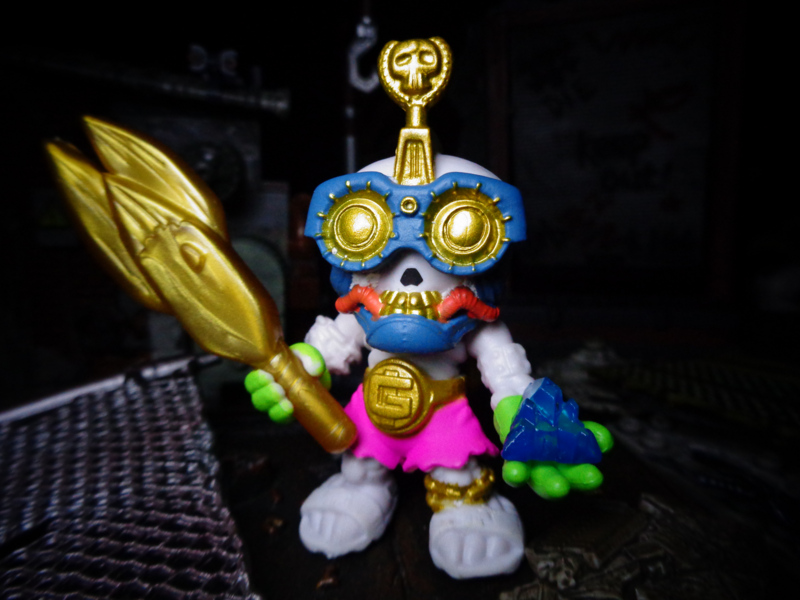 His treasure is meat, his weapon is gold meat, but his design is surprisingly complex! 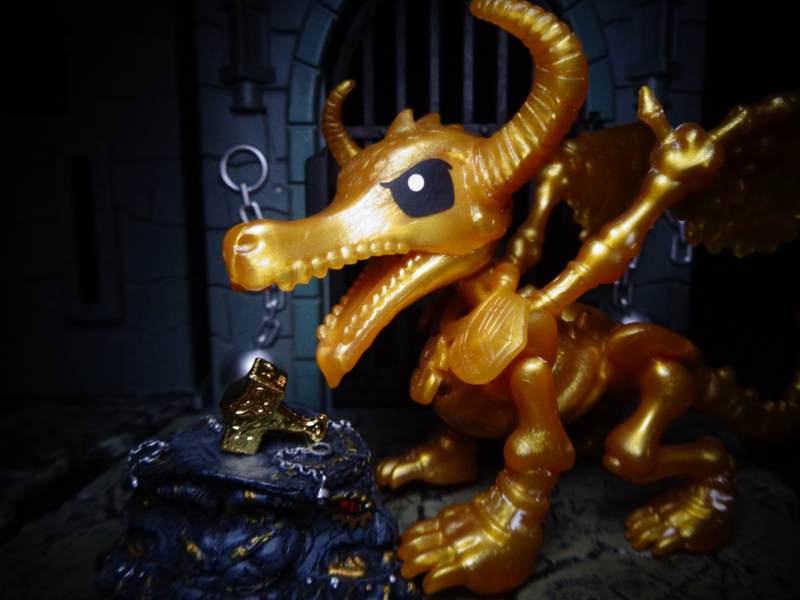 And here he is with the Gold Fang treasure. 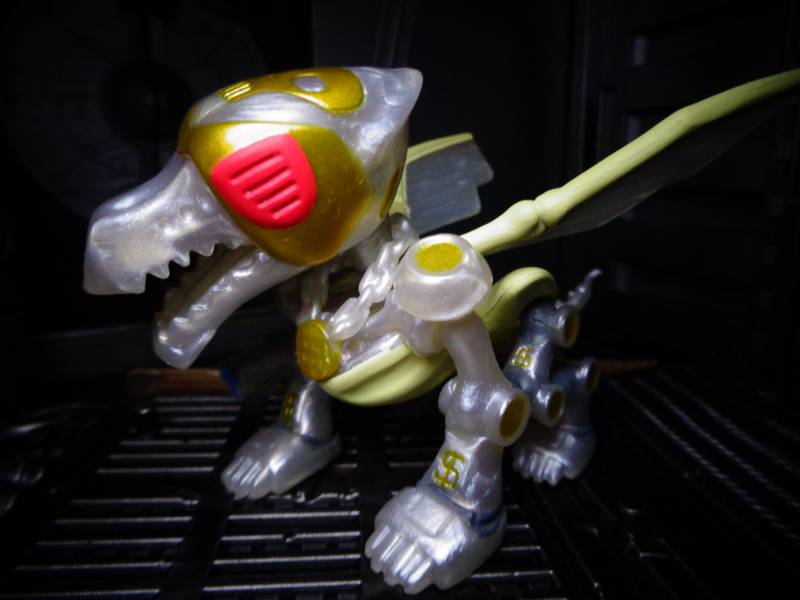 Shamon Shiny comes with a fossilized fish – the same fish as the frozen one, ahahaha. I love his design, too. The Doomsday Dragon is the raddest thing ever. I will never be as rad as this dragon. 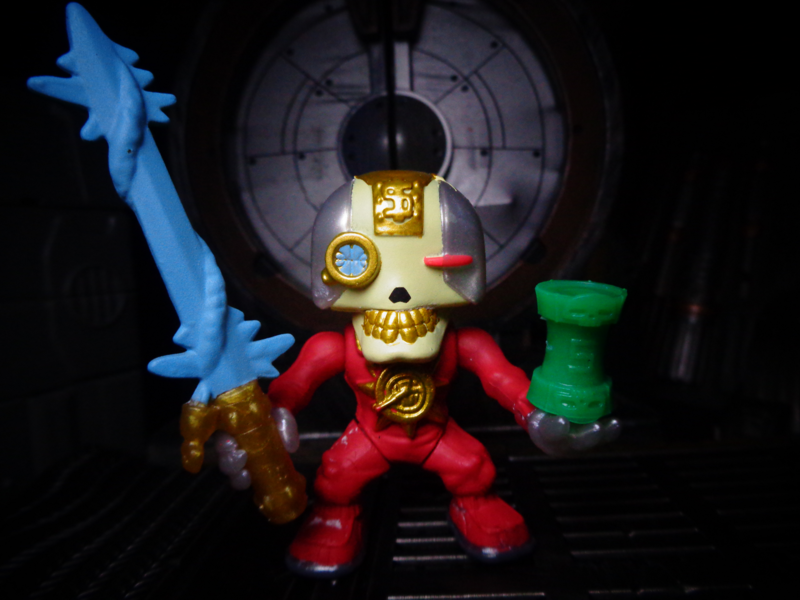 Rich Ravenger is supposed to come with a fallout gauge, but mine came with SLiceberg’s treasure by accident! But man, he’s crazy. 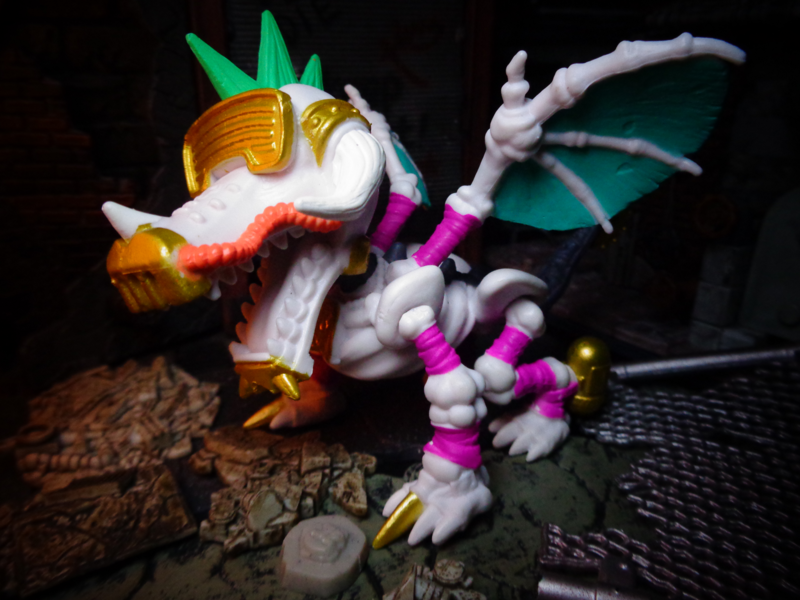 The Cyberclaw Dragon is really cool – it’s hard to see, but his bones are kind of metallic and pearlescent! 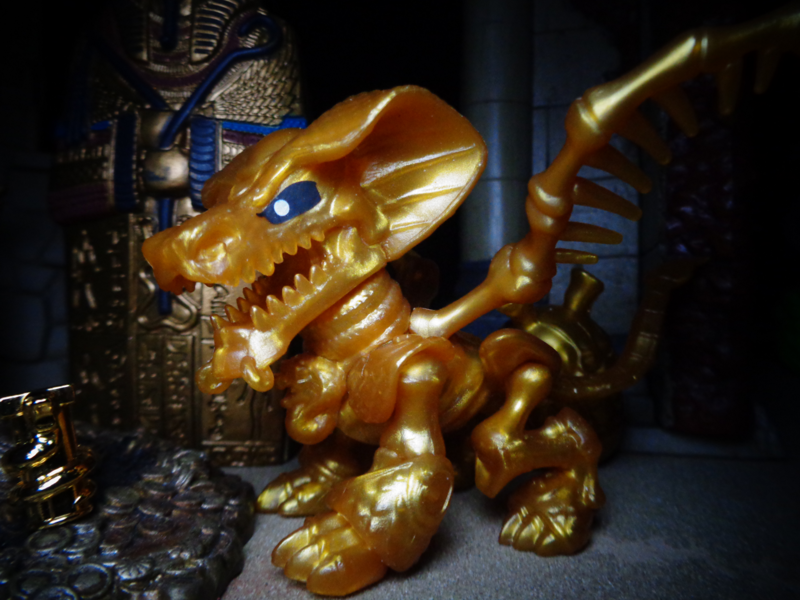 Cybergold is supposedly “rare,” but he’s not too hard to find. He is GOLD!!!!! And weapons plug into his hand socket, yay! Treasure Tech’s jumpsuit is reminiscent of Iron Man. Well, there you go! Like I said in the video, I seriously love Series 2. I really hope that the Mini-Beasts make their appearance soon, because Moose has utterly outdone themselves!